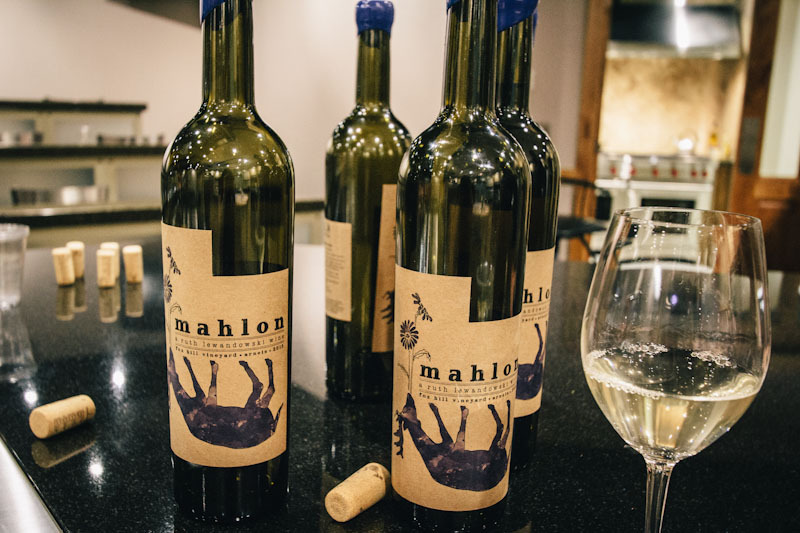 Salt Lake City has a new wine and winemaker in town that will dispel the stereotypes of Utah-made wine. Evan Lewandowski is producing three wines, all coming out at various times this summer. His company, Ruth Lewandowski Wines, will be known for natural winemaking in the state of Utah. Before we go any further, if you want to set up an appointment to buy these wines, call Evan at (801) 230 – 7331 or email Evan@RuthLewandowskiWines.com. At a recent SLC Mixer, we introduced Ruth Lewandowski Wines to a small group of folks who got to sip, savor, and pair the wine throughout the evening. Though Evan is starting out with grapes from California, his passion and goal is to eventually produce wines from Utah soil. 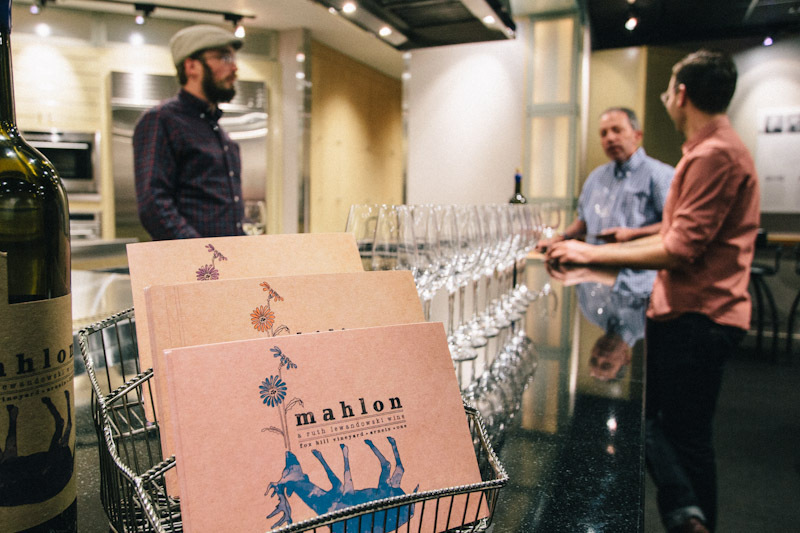 His first wine is Mahlon, an Arneis. Arneis is found primarily in the Piedmont region of Italy and is literally translated to “little rascal” which Evan said the name well suits the challenges that comes with working with Arneis. The wine has crisp, floral qualities pairing well with summer picnic foods and light creamy pastas. Evan told the story of a late night conversation with his mentor, Christian Binner from Alsace, on a vineyard in France and a captivating allegory from the Bible (Ruth) and how they both led Evan back to Utah to live out his dream of making world class wine in one of the most unlikely places. Evan’s storied love for wine is rooted in his belief that nothing lives without something else dying. Hence the upside down animals on his labels. Their death and return to the soil from which they came is the source of life and growth for all life that comes from the ground. Evan loves the story of land and believes that every wine should express the land from which it came. He does very little in the winemaking process relatively speaking. It’s all about the processes set forth by nature. Evan’s willing to be patient for the natural winemaking process to run its course. Stay tuned for more info on Ruth Lewandowski Wines. For now, you can purchase his wines at his warehouse. Simply make a reservation in advance by emailing Evan@RuthLEwandowskiWines.com.